OrderPaperToday – It has become a trend for state governors to head to the red chamber immediately after completing their constitutionally allowed 8 years tenure in office. In the current Senate for instance, there are no less than 16 Senators who tasted governor’s seat but couldn’t resist the urge to find a new home in the upper chamber. 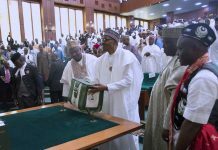 That trend is not about to abate as 9 sitting governors are set to join the “retirement home” provided they win the senatorial elections on February 16. 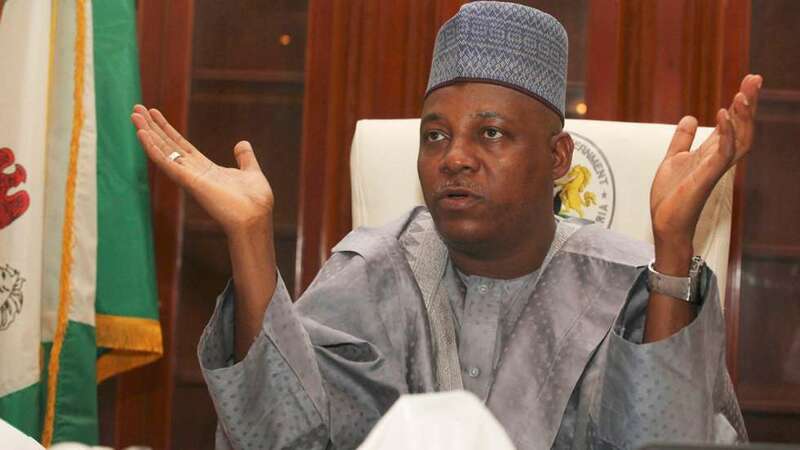 Governor of Borno State, Kashim Shettima is looking to replace the incumbent Senator representing Borno Central, Senator Baba Kaka Garba, both of whom are of the APC. Shettima is a graduate of the University of Maiduguri where he earned a BSc Degree in Agricultural Economics in 1989. He had his one year compulsory membership of the National Youths Service Corps (NYSC) in Calabar, Cross River State from 1989 to 1990. He then obtained a Master’s Degree in Agricultural Economics in 1991 at the University of Ibadan. Shettima worked as a lecturer at the University of Maiduguri from 1991 to 1993. He worked as banker for several years until 2007 when he was appointed as Commissioner for Finance in Borno State. From 2007 to 2011, he served as Commissioner in 5 Ministries. In 2011, he contested the governorship in Borno State which he won under the platform of the now defunct All Nigeria Peoples Party, ANPP. 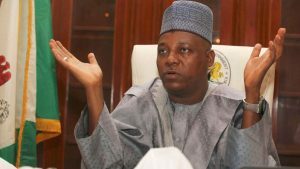 Shettima was re-elected in 2015 under the All Progressives Congress and is now set to contest the Borno Central Senatorial District election this year. His tenure has been marred by the perennial boko haram terrorism which has Borno as a hotbed. 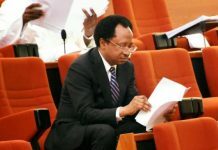 A swap deal seems to have been reached for Gombe North Senatorial District. 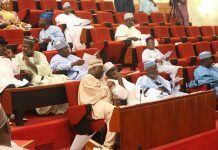 The incumbent Senator representing the district, Bayero Nafada is gunning for the governorship of Gombe state while the sitting governor, Ibrahim Dankwabo is eying Bayero’s seat as the Senator representing Gombe North. The duo of Nafada and Dankwambo are flying the flag of the PDP. Ibrahim Dankwambo was born on the 4th of April, 1962. 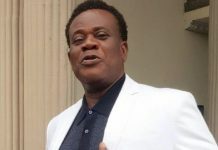 He graduated from Ahmadu Bello University in 1985 with a degree in Accounting. 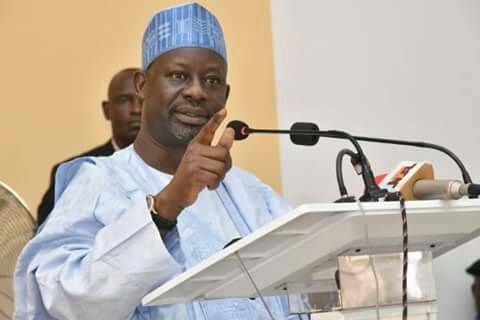 Dankwambo obtained a Master’s degree in Economics from the University of Lagos in 1992 and later on, a PhD in Accounting from Igbinedion University. He worked with Coopers & Lybrand in 1985 and the Central Bank of Nigeria from 1988 to 1999. He was then appointed Accountant General of Gombe State, a position he held until 2005 when he was appointed Accountant – General of the Federation. Dankwambo held this office until he resigned to contest election as Governor of Gombe State, an election he won. He was re-elected in 2015 for a second term. He contested and lost the PDP presidential nomination last year. 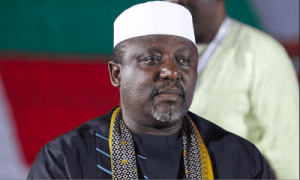 Rochas Okorocha is very much a controversial character who likes to have his way. The Governor of Imo state wants to proceed to the Senate and also install his son in-law as his replacement in Imo Government House at the same time. There is a chance that Okorocha might have his way after all as he is the APC Senatorial candidate for Imo West while his son in-law, Uche Nwosu is the Action Alliance (AA) gubernatorial candidate for Imo state. He will however, contesting against a formidable PDP candidate, Mr. Jones Onyereri for the Orlu zone seat. Despite wide spread reports that the incumbent governor of Kwara state has discontinued his ambition of emerging as the next Senator representing Kwara South, his name eventually made it to the INEC list. 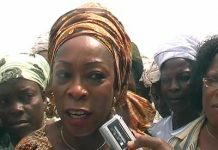 Many observers have described his candidacy as a political suicide due to the complexity of power play in Kwara state. 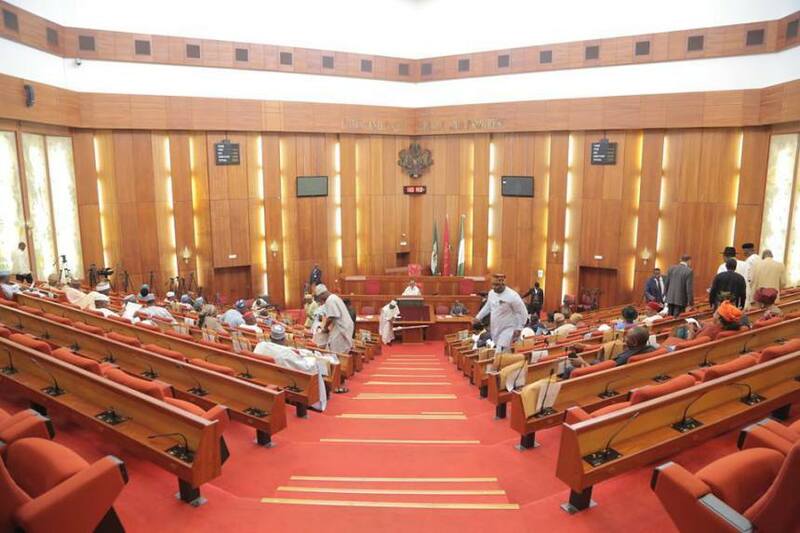 It however remains to be seen if Abdulfatah will join the league of ex-governors in the red chamber. Ahmed was born on 29 December, 1963. He attended Government College Katsina State from 1973 to 1978 and the school of Basic Studies of Kwara State College of Technology (now Kwara State Polytechnic), from 1978–1980. He proceeded to the University of Ilorin where he earned a BSc in Chemistry in 1986 and a Master of Business Administration (MBA) in 1992. From 2003 – 2009, Ahmed was appointed Commissioner for Finance and Economic Development. He then became Commissioner of the newly created Ministry of Planning and Economic Development. 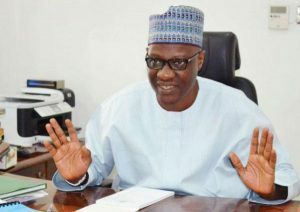 During this period, Ahmed was also Treasurer of the forum of Commissioners of Finance in Nigeria for six years, and chairman, Budget Formulation Committee and Economic Team of Kwara State. Ahmed contested and won the April 2011 governorship elections and was re-elected in 2015. 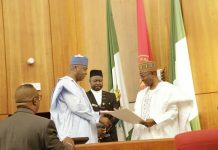 He owes eternal gratitude and unflinching loyalty to President of the Senate and his predecessor in office, Bukola Saraki, who is solely responsible for his political trajectory. Like others in the Saraki camp, he is contesting under PDP. As far as Governor Tanko Al-Makura is considered, it is time up for Suleiman Adokwe as the Senator representing Nasarawa South in the National Assembly. Al-Makura has already secured the ticket of the APC to contest 2019 Nasarawa South senatorial district election. Al-makura was born in 1952. He attended Dunama Primary School, Lafia; Keffi Teacher’s College; Government Teachers College of Education, Uyo; and Ahmadu Bello University, Zaria. 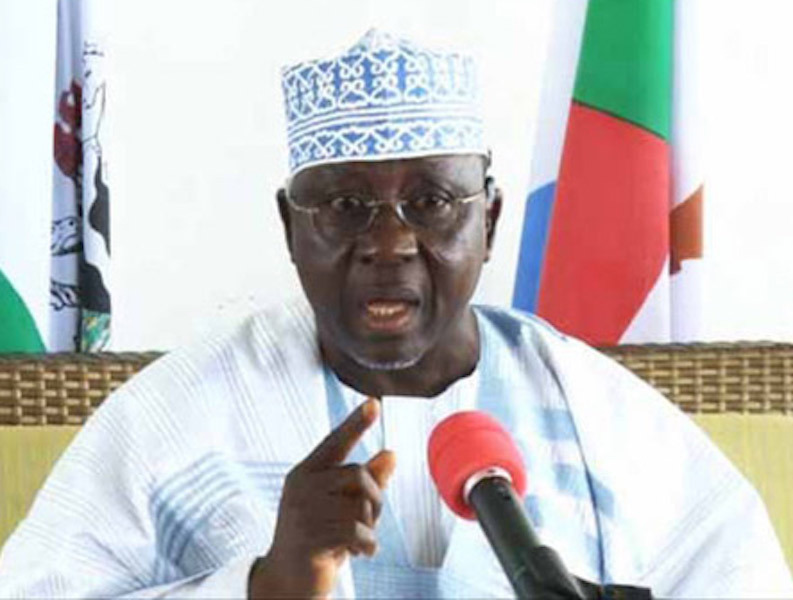 In 1980, Al-makura became the youth leader of the National Party of Nigeria (NPN) in the old Plateau State. He was them elected into the constitution Assembly of 1988–89, representing the Lafia–Obi Federal Constituency. He later became state secretary of the National Republican Convention (NRC) party in Plateau State from 1990 to 1992. Furthermore, Al-makura was a founding member of the People’s Democratic Party (PDP) in Nasarawa State in 1998. He however defected from the PDP after losing the primary elections for the Nasarawa Governor. 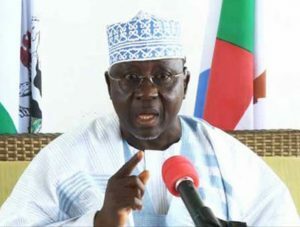 Al-Makura was eventually elected Governor of Nasarawa State in 2011, running on the platform of the Congress for Progressive Change (CPC) ticket. He was re-elected in 2015, under the platform of the APC. Ibikunle Amosun is a former Senator who represented Ogun Central from 2003 to 2007. 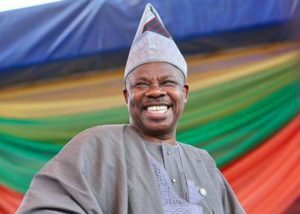 Amosun is now set to complete his second term in Ogun government house this year and now intends to go back “home” to the Senate. After all, “once a senator, always a senator”. If Amosun wins his election he will come in with the status of a ranking senator and with the prestige of a former governor. He is therefore likely to be an immediate power broker in the red chamber. Amosun was born on 25th January, 1958. In April 2007 he made an unsuccessful bid to be elected governor of Ogun State. He ran for governor again on 2011, and this time was elected on the platform of the now defunct Action Congress of Nigeria (ACN). 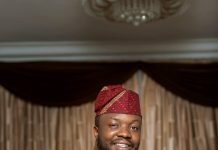 He ran for office for the second term under the All Progressives Congress in 2015 and was re-elected. Like Rochas, he is at daggers-drawn with the national leadership of the APC having taken the extreme step of moving his political structure to an unknown party where his anointed candidate is contesting for governor. He however stayed put in the APC where he hopes to emerge as senator. Like Amosun, Abiola Ajimobi is another Governor who wants to “return home” to the Senate after serving 8 years as the Governor of Oyo State. If he wins, he may want to reign as a ‘constituted authority’ in the Senate. Abiola Ajimobi was born on 16th December, 1949. 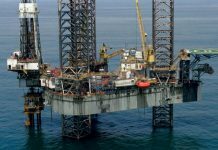 He was formerly the Managing Director/Chief Executive Officer of the National Oil and Chemical Marketing Company, a subsidiary of Shell Petroleum. He left the oil sector in 2002 after 26 years, and was elected in 2003 as the Senator representing Oyo South Senatorial District on the platform of the Alliance for Democracy (AD). Like Amosun he tried his luck and contested in 2007 for the governorship of Oyo state under the banner of the All Nigeria People’s Party (ANPP), an election he lost. 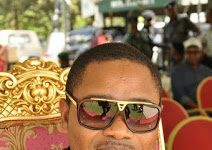 He re-contested again in 2011 under the Action Congress of Nigeria (ACN) and was elected Governor of Oyo State in a closely contested vote. 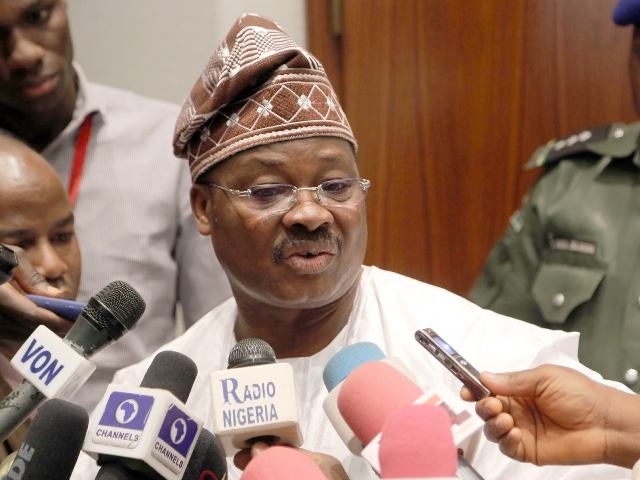 Ajimobi was subsequently elected for a second term in 2015. Ibrahim Gaidam is the APC senatorial candidate for Yobe East, and he is seeking to replace serial election winner, Senator Bukar Ibrahim. Bukar who was once infamously caught pants down in a dingy hotel room, an incident which he did not deny. He opted against challenging Governor Gaidam for the Senatorial seat in 2019. Ibrahim Gaidam was born on 15th September, 1956. He attended the Borno Teachers’ College (BTC), Maiduguri from 1974 to 1979 and Ahmadu Bello University, Zaria from 1981 and 1983. 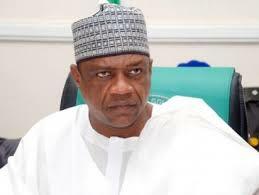 In April 2007, Gaidam was elected Deputy Governor of Yobe State on the All Nigeria Peoples Party (ANPP) platform. He was sworn in as Governor on January 27, 2009 following the death of Governor Mamma Bello Ali in USA following a liver problem. Gaidam was elected on in 2011 for his first term as governor and in 2015 for his second term. He has been a relatively unknown public official after over a decade of being in the arena. Abdul-Aziz Yari has a huge hurdle to scale if he is to make it to the Senate in 2019. Already, INEC has refused to recognise the alleged primaries from his faction of the APC and also the Zamfara High Court judgement that upheld his candidature. 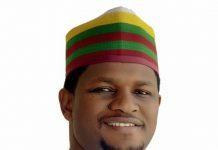 Yari’s constant foe, Senator Kabir Marafa has alleged that the Zamfara court judgement was purchased from the “black market”. Yari might need better luck in a higher court to change his fortune and stand a chance of making it to the bred chamber this year. Abdul’aziz Yari was born in 1968. Yari began his political career in 1999 when he served as the Secretary of the then All Nigeria People’s Party (ANPP). He was later elected Chairman of ANPP Zamfara State in 2003 and later rose to the position of ANPP National Financial Secretary. 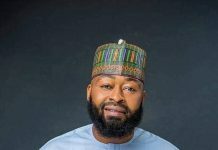 In 2007, he was elected as the Member representing Anka/Talata Mafara Federal Constituency of Zamfara State in the House of Representatives. He was elected Governor of Zamfara State in April 2011 and re-elected in 2015. He is the Chairman of Nigeria Governors’ Forum. 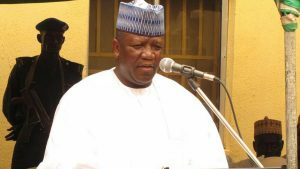 Zamfara under Yari’s watch has been immersed in widespread violence and killings. Last year, Yari resigned his position as the Chief Security Officer (CSO) of the State.